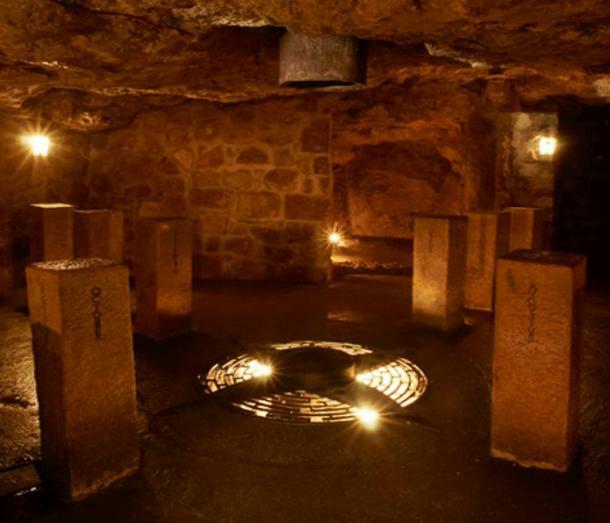 Deep under the imposing stone walls of a 13th century palace, the Labyrinth of Buda contains, in its twisting paths and pitch-black corridors, the dark history of the ancient castle district of Budapest. Here, the skeletons of the dead reveal violent deeds, but in more recent times the caverns have been open to the public, showcasing their haunting beauty. Suddenly, in 2011 police raided the labyrinth and locked the doors for reasons unexplained. What prompted this strange closure? What was being hidden beneath the streets of Budapest? 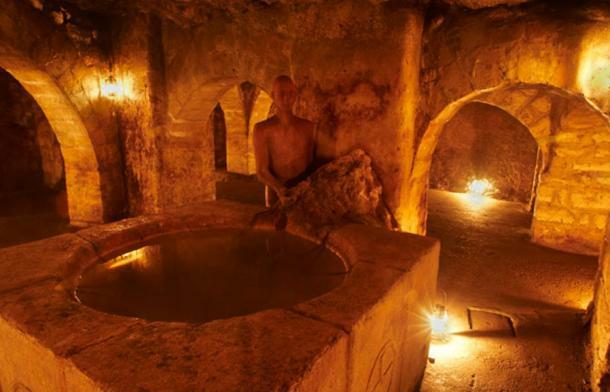 The complex of underground caves and passages were carved out of solid rock by rushing thermal waters long before prehistoric man used them as shelter and hunting more than half a million years ago. Archaeological evidence of 350,000-years-old stone tools belonging to Homo erectus were reportedly located in the caves. The passages and chambers stretch out over 1200 meters (4000 feet) and are nearly 16 meters (53 feet) beneath the ancient castle district of what is now Budapest, the largest city in Hungary. So historic and unique are the caves that they were recognized as a UNESCO World Heritage Site in 1987 as an outstanding urban landscape. The caves have been a part of the history of mankind and the culture of Budapest since prehistory, and have seen many changes over the eons. This was the site of the ancient Roman city of Aquincum, settled right between Buda on the right bank of the Danube River, and Pest on the left bank. Pest was an important economic center, but was devastated in 1241 with the Mongol invasion of Hungary. It was rebuilt once again, and in the following years the formidable castle of Buda was built by King Bela IV above the ancient chambers. Early residents used the caves as food storage and for water supply. 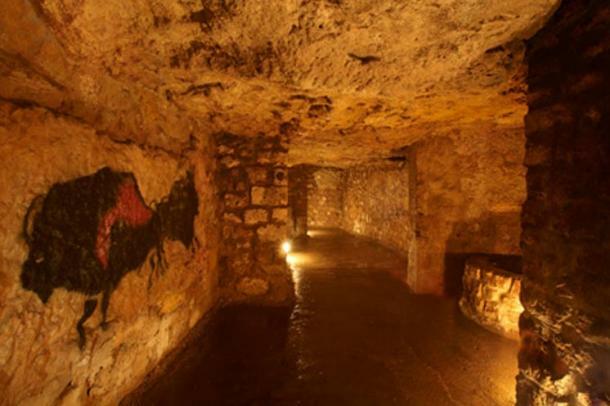 The deep tunnels were also refuge in times of war or fires, and were used for hundreds of years by people of Buda Castle. They were eventually forgotten in time. The winding caves were rediscovered and investigated in the 1930s with city development, and bones were discovered, leading to an exhibition of artifacts and remains. Cellars were opened up, and a winding, maze-like path was revealed. It’s easy to believe the worst legends of the subterranean labyrinth, as the damp, dimly-lit stone walls and bones of the dead harken back to violent times. Evidence of a Turkish Harem was found at a cave entrance, and it is reported that several female skeletons were found in the depths of the tunnels, dating back to the Ottoman occupation. It is believed they were tragic victims, thrown down a well as the Turks were forced out of the castle. The labyrinth served as a prison, and a torture chamber, and one of the more chilling stories involves the notorious Vlad Tepes—Vlad the Impaler, later popularized as “Dracula”. It is said that Vlad Tepes, the Voivod of Wallachia, was betrayed by his ally, the Hungarian King Matthias. 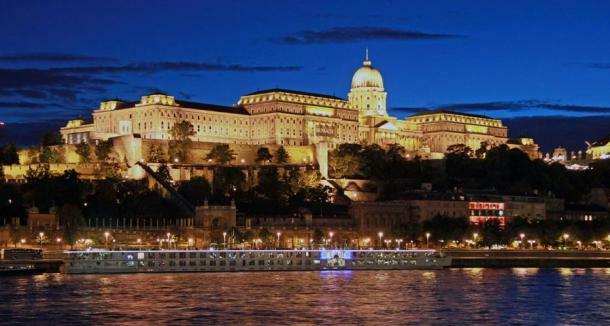 Local legend has it Vlad was imprisoned and left to rot in the dark bowels under the Castle of Buda around 1462. How many years he languished is not known, but it is suspected he was brutally tortured, for when he was released he had morphed into the man who became infamous for his heinous acts of torture, murder, cruelty, and his specialty—impaling countless victims on spikes. Legend also has it Vlad Tepes is buried in the cold, stone floor of the caves, and a tomb now marks the spot. Further legends speak of the Turks burying their treasures in the labyrinth, tax collectors from the Middle Ages hiding their wealth in and around the palace and in the tunnels and wells, but none has been uncovered as yet. 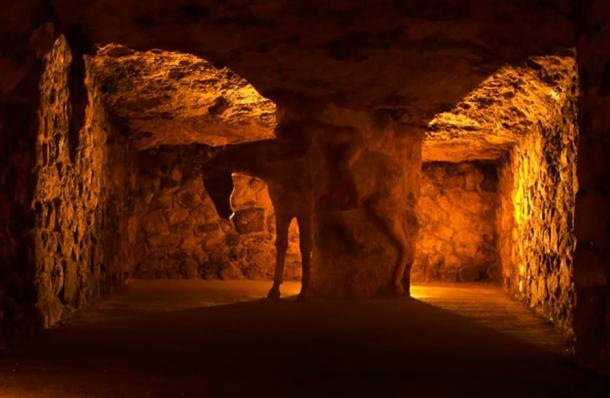 Strange figures, ancient art, symbols, wells and fountains, and stone humanoids greet visitors to the mysterious labyrinth, invoking the very ancient history of the caves. Implements of torture and iron bars of a prison past line the walls. 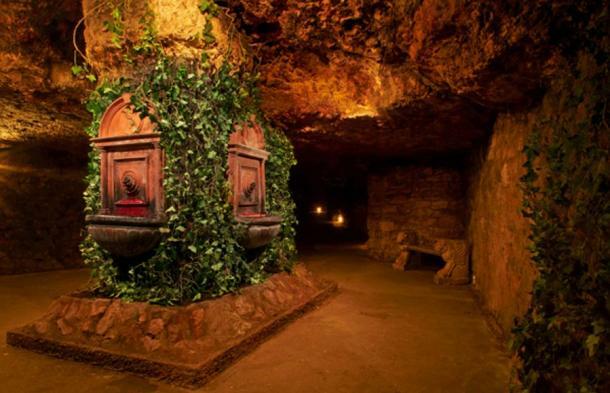 Lucky travelers who make it through pitch-black tunnels, dim lights, fog, and eerie music might chance upon a hidden, (and perhaps the most enigmatic chamber,) where wine pours freely from a vine-covered fountain. Why the wine flows endlessly, and why the fountain even exists remains a mystery. It is now attributed to King Matyas Corvinus, who continued the construction of the enormous royal palace. Legends say he was poisoned by his wife, Beatrice. Visitors are often encouraged to taste of the wine, if they dare. 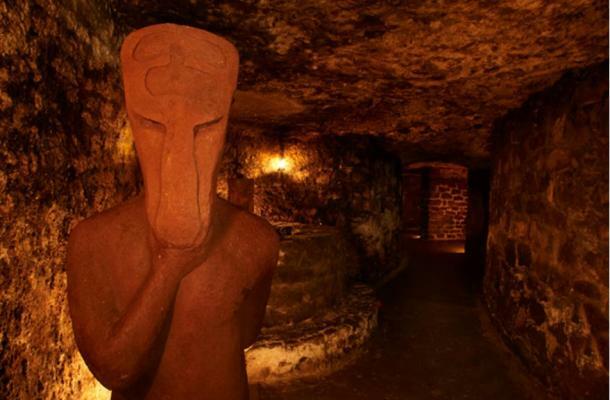 Strange humanoid statues live in the tunnels, the most imposing being the Shaman with Two Faces. Eerie, pale wax figurines in period costumes tell a tale of the more recent history of the area, and the glittering royalty and riches found in the palace above. In all, five separate twisting labyrinths encompass 10 halls. The labyrinth became renowned as an enigmatic and wondrous marvel, attracting a steady stream of visitors who wanted to explore the history and ancient culture of Budapest. However, on July 29, 2011, visitors and labyrinth staff alike were shocked when police reportedly stormed the caves and forcibly removed all occupants. At the time people assumed this was due to a terrorist attack, or an emergency situation. Everyone was advised to grab their belongings and leave at once, and were said to be under constant surveillance the entire time. But once all people were evacuated and the doors were sealed, no emergency situation was occurring and no explanation was given as to why the sudden rush to get people out. In the following days, the labyrinth caretakers pushed for answers from officials, but were not allowed to go back into the caves. It is reported the staff were replaced. Some firsthand accounts suggest that travelers can still enter the maze, and online sources seem to be organizing tours, but it’s not clear if the caves are open or if they’ve remained cut off from the public since 2011. There remains speculation as to what really happened on July 29, and what caused police to suddenly evacuate the caves and block entrance. What were officials looking for deep in the ancient chambers? Was this a push to control or nationalize the heritage site, or had something been found underground? Many questions remain as to the events surrounding the strange and mysterious Labyrinth of Buda. 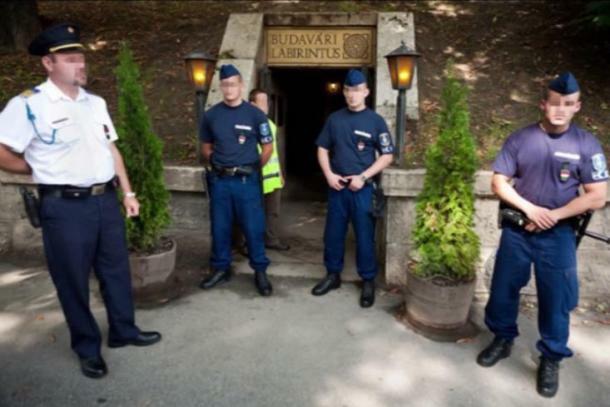 Police block entrance to the Labyrinth of Buda. Screen image via Labyrinth of Buda Castle HD(YouTube). 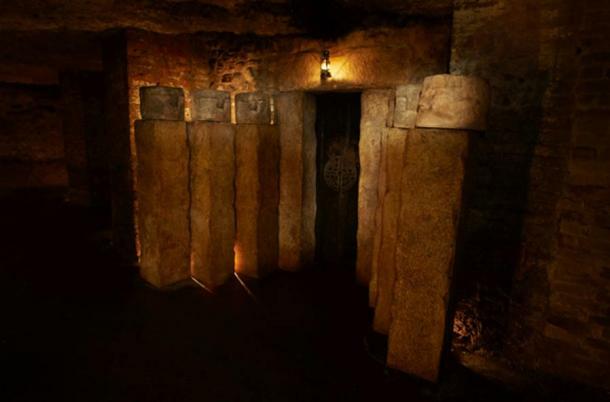 Visiting the subterranean labyrinth in Budapest seems to bring the realization that it is not just an impressive and disquieting maze, but also twisting and complex pathway which links the ancient, hidden world and our modern times.